In an era when some Americans take their natural heritage for granted, the authors remind us that our beautiful and wild places can't protect themselves. By writing this important history they provide a vital insight into the complexity of preserving our open space. More than that, they provide a model for preservations in the future. The story of the Catskill forest preserve is the story of wilderness lost and wilderness recovered, but the forest preserve is only a part of the fascinating and intricate story of the 1,100-square-mile mosaic of public and private land that constitutes the Catskill Park , a grand experiment in how human communities can coexist with wilderness, geographically intermingled and historically entwined. 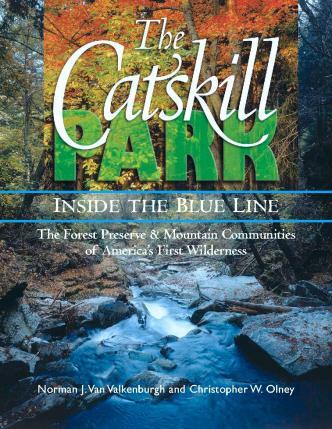 The Catskill Park chronicles in words and images the history of the park and forest preserve from its roots in the early conservation movement of the 19th century, through political intrigue and maneuvering in the state capitol, to the present day park that is home to tens of thousands of residents, while its forest preserve provides recreation for more than a half million visitors annually and daily water supply for almost 10 million people. Featuring 40 glorious color photographs, more than 60 black & white images from the past and present, and the Carpenter Report- a time capsule, a survey and inventory, of the Catskills taken in 1886 before the Catskill Park was born. 8 x 11, paper, 208 pages, maps, photos & illustrations 32-page color section!